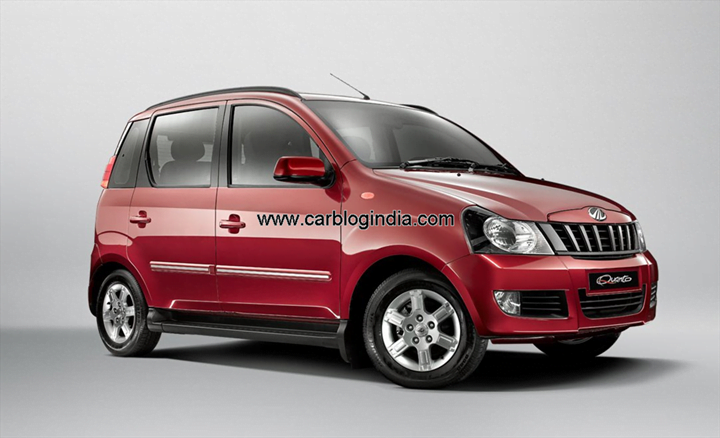 Mahindra Quanto Gets 5000 Bookings In 3 Weeks Of Launch ! Mahindra & Mahindra launched the Mahindra Quanto compact SUV three weeks ago, and the good news is that it has received more than 5000 bookings within 3 weeks of launch. More than just a car, it is a hope for buyers who want to own a budget car that offers space, comfort and power, all at the same time. The level of attraction of the Quanto is easily expressed by a couple of small yet noteworthy achievements. Beside the 5000+ bookings that the Quanto has registered in this short span of time, it also became the number one search on Google for 24 hours within two days of launch. Further because of the Quanto, Mahindra’s twitter trend rank reached number two, while the Quanto’s rank was number four. Also the website of Mahindra Quanto was received 2 million page views in less than a week. “It is a delight that the Quanto has received over 5,000 bookings in a short span of 3 weeks. This response strengthens our belief that Quanto will be able to create a new category within the SUV segment with its unique value proposition. This gives us the confidence that the customers appreciate the Quanto’s distinctive looks, flexible 5+2 seating & go anywhere capability. We would like to thank them for the conviction they have shown in the Quanto”. Quanto is a value for money SUV that equips a number of features such as the Digital Drive Assist System, Micro Hybrid Start Stop System, Intellipark Reverse Assist, 2-DIN music system with CD, MP3, USB & Aux in. The list of safety features includes ABS with EBD, dual airbags, high speed warning, engine immobilizer etc. The car is powered by a state of the art 1.5 litre mCR100 engine featuring twin turbochargers. The same puts out 100 BHP of max power and plenty of torque and even returns an appreciable fuel efficiency. The car has been designed and developed by Mahindra itself and is based on the robust, proven and highly successful Ingenio platform.